Vladimir Putin shakes hands with Tayyip Erdogan after a news conference at the Presidential Palace in Ankara December 1, 2014. After the thaw, the Presidents of Russia and Turkey intend to meet for talks soon, in an attempt to rebuild mutual trust, which was seriously damaged during a seven-month crisis in bilateral relations. What will they talk about? Turkey’s President Recep Tayyip Erdogan has confirmed that his much-anticipated meeting with Russia’s President Vladimir Putin will be held soon. The meeting could happen in July or in August, ahead of the G20 meeting. This would be their first meeting after a seven-month crisis in bilateral relations that began on November 24, 2015, when Turkey shot down a Russian Su-24 bomber that it claimed had infringed on Turkish airspace. Russian analysts believe three major issues will dominate the meeting. Since the crisis in Syria is the main point of contention between Russia and Turkey, both countries must first try to find common ground on this issue to facilitate dialogue. Ankara has sided with the Syrian opposition from the beginning of the Syrian crisis. Turkey has actively taken part in the Friends of Syria meetings and has allegedly even provided assistance to the terrorist groups fighting against Syrian leader Bashar al-Assad. Moscow, meanwhile, has always supported Assad and, in the autumn of 2015, launched a military campaign in Syria aimed at helping the Syrian government army. Alexander Sotnichenko, a foreign affairs specialist at St. Petersburg State University, believes that terrorism, the common enemy, may help to reconcile the two countries. "The main issue is interactivity in Syria and the joint fight against terrorism," he said. It is too early to make any predictions about whether or not the two leaders will arrive at any concrete decision. "Everything depends on the interactivity programme that Russia will offer," he said. Kerim Khas, a specialist on Eurasian politics at the International Strategic Research Organization think-tank in Ankara, notes that Turkey has recently begun reconsidering its foreign policy, including its policy towards Syria. "Dialogue between Moscow and Ankara on Syria is fully possible and moreover, it is necessary. 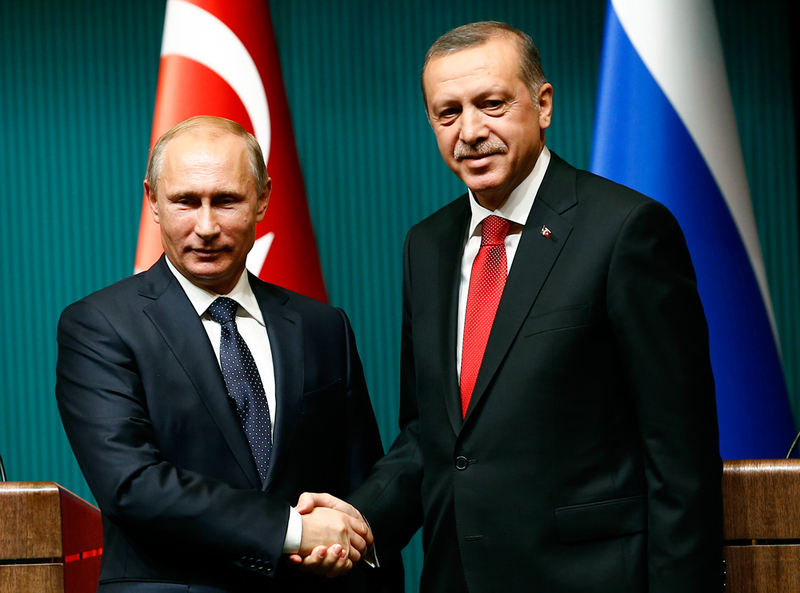 The crisis in Russian-Turkish relations began precisely with Syria. But it can also be overcome through cooperation in solving the Syrian crisis," said Khas. The presidents will also discuss details of lifting sanctions against Turkey, which Putin insisted the Russian government impose on November 28, 2015. The issue of cancelling visa requirements for Turkish citizens, introduced on January 1, 2016, will also be raised. "It is important not to forget that these processes will be directly linked to Ankara's successful realization of Moscow's demands,” said Yury Mavashev, a Middle East and Turkey scholar and specialist from the Caucasus Geopolitical Club, a Russian forum to discuss geopolitical and socio-political issues in the region. "This means punishment of the guilty and compensation for the downed plane. Russia will begin with an advantage at the upcoming meeting,” he said. “It is not by chance that Russian Prime Minister Dmitry Medvedev stressed that the Russian government's measures would be gradual. This is a signal and an appeal for Ankara to take measures in response." Another important issue on the presidential agenda will be the Turkish Stream pipeline. During an official visit to Turkey in December 2014, Putin made public his decision to abandon the South Stream project in favour of the new Turkish Stream project. The pipeline carrying Russian gas was supposed to be laid along the Black Sea seabed through Turkey towards the Turkey-Greece border. Gazprom and Botas signed a memorandum of understanding to construct the Turkish Stream pipeline on December 1, 2014. It was expected that an intergovernmental agreement would be signed soon but, for various reasons, the signing was postponed (problems with costs, supply volumes, discounts and Turkey's domestic crisis). After the Russian plane was shot down, the Turkish Stream project was not discussed, although Russia never openly said it would complete abandon it. "The renewal of the Turkish Stream project will be raised among other issues of bilateral cooperation," said Khas. "It is very likely that during the meeting they will agree to build one segment of the pipeline on conditions that are mutually favourable."